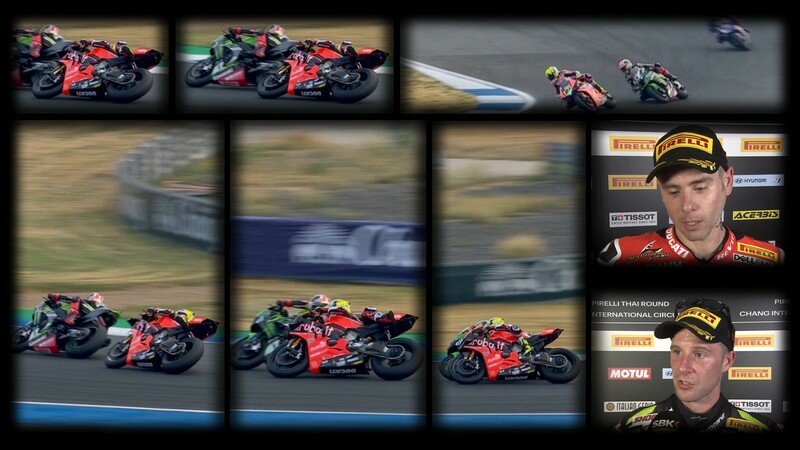 The battle lines were drawn between WorldSBK’s top protagonists after Rea and Bautista collided on track! 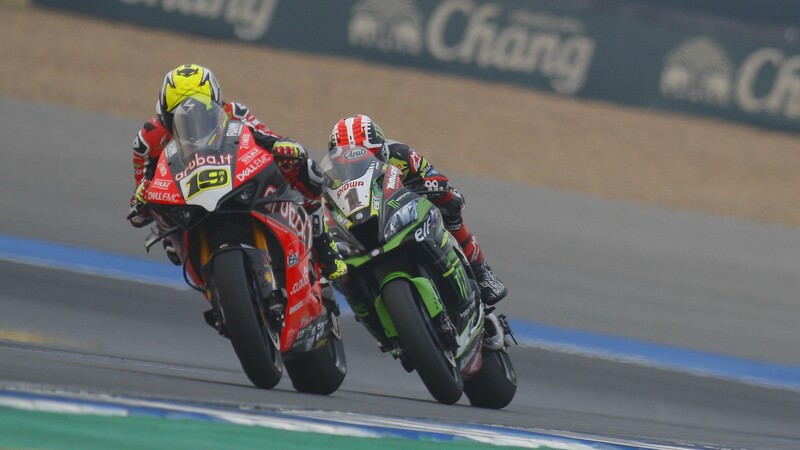 The highly anticipated rivalry between reigning four-time WorldSBK Champion, Jonathan Rea (Kawasaki Racing Team WorldSBK) and Rookie, Alvaro Bautista (ARUBA.IT Racing – Ducati) started in Thailand, during Race 1 at Buriram. The two clashed on circuit at the infamous Turn 3, having both taking two different racing lines through the corner. Bautista saved the bike from tipping him off before going on to win. 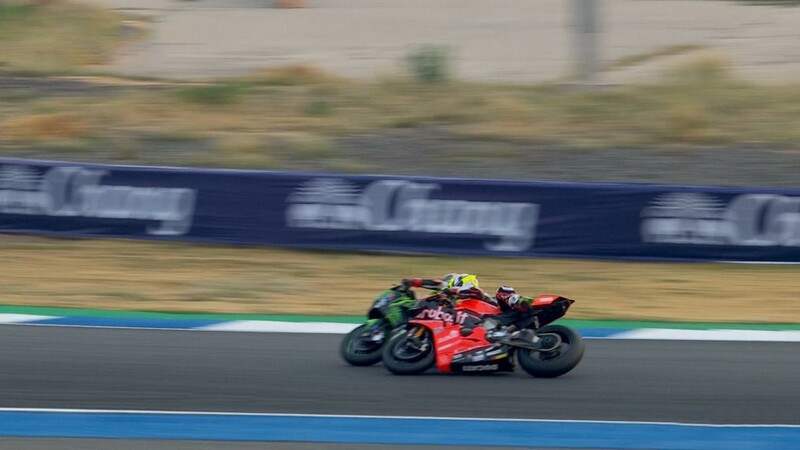 Going side-by-side on lap three of the opening WorldSBK encounter of the weekend, Bautista was able to get ahead of Rea down the 1km-long straight from Turn 1 to Turn 3. However, strong in the braking areas, Rea was able to cut inside Bautista at Turn 3. 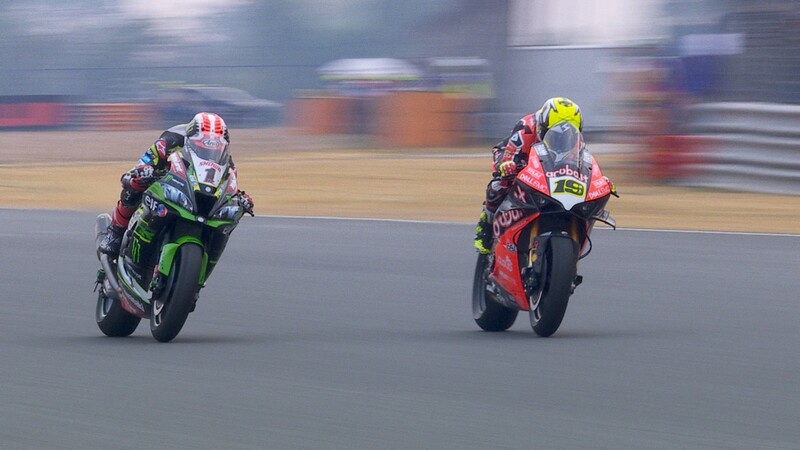 Coming back on the conventional racing line after running slightly wide, Bautista clashed with Rea. The championship leader almost fell off the side of his Ducati Panigale V4 R, which could’ve been a disaster for his championship. 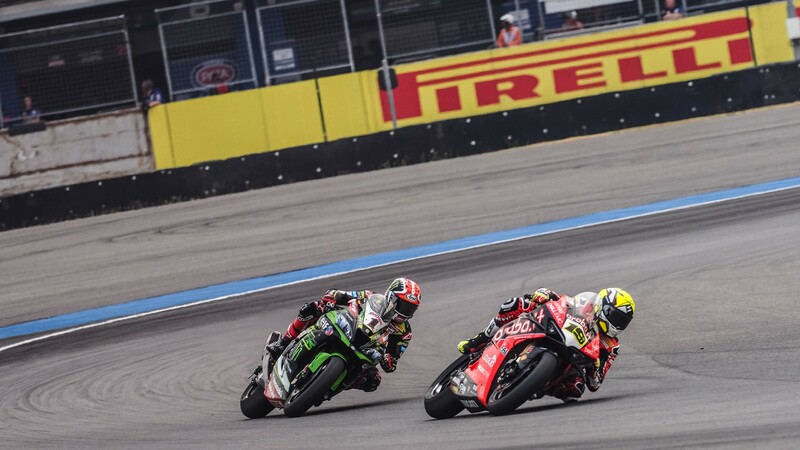 Bautista was able to get back ahead of Jonathan Rea with 12 laps to go and therefore power to his fourth consecutive WorldSBK victory, before making it five and six in the Tissot Superpole Race and Race 2. Watch more from Race 1 and the rest of the Pirelli Thai Round with the WorldSBK VideoPass!